With a lot of new model cars from the past and until now, muscle cars are still an apple-of-the eye with many richest people these days. Although it’s designed as an old fashioned style but this is still booming and never left behind by the Jaguars, Ferraris, Maseratis, Porsches and Lamborghinis. 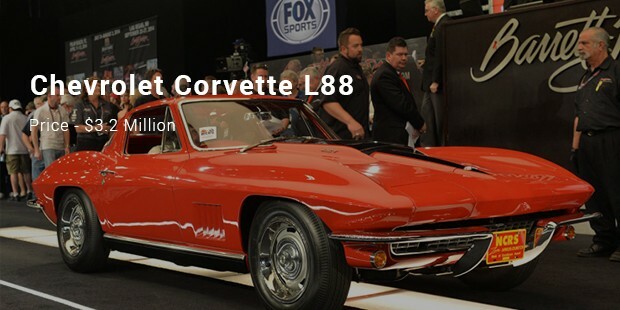 The good old-fashioned luxury muscle cars in the world are now on the way to compete the new models or cars in the market today. Muscle cars a 2-door sports car geared with powerful engine and high-driving performance. It has an ability to make the most of straight-line speeds and originally intended for drag racing and street use. It has been widely called as the E-Body with shorter and wider body. 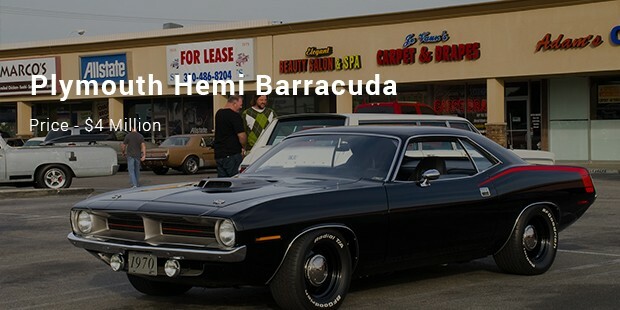 It has a larger engine bay that fits the 7.0 liter Hemi engine of Chrysler. 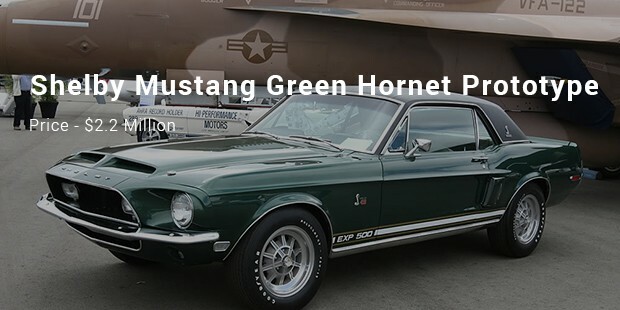 The kind of muscle car is known as its nickname “The Holy Grail of Muscle Cars”. 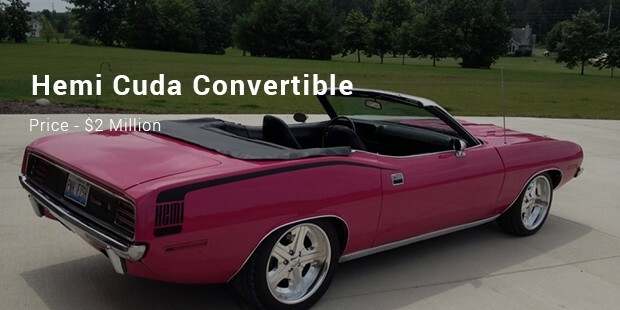 This muscle car edition of Chevrolet was only produced 20 limited cars. 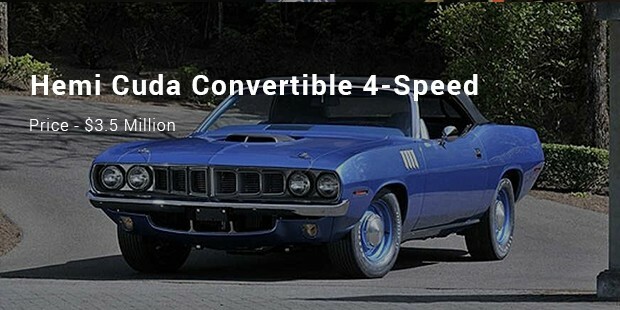 It is the rarer than the 14 of the 1970 production and there were only 11 made. 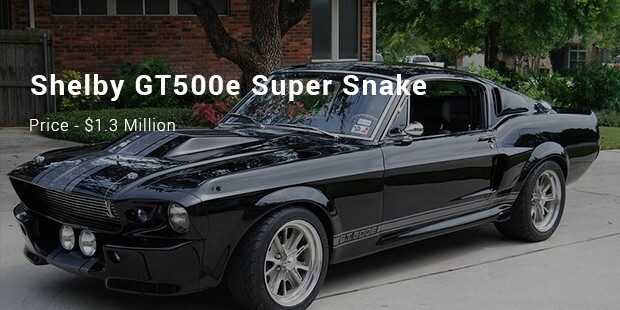 It has a 428 Cobra Jet engine with independent rear suspension. The engine has 428 cubic inch displacement employing OGV V8 with head-type and iron block, built with dual exhaust system. 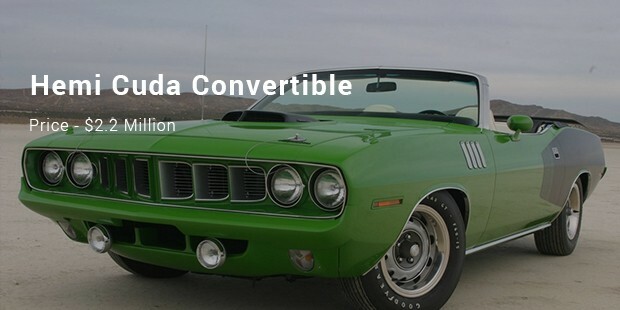 With all the 14 Hemi Cuda convertibles, there were nine came with specific 727 3-speed transmission. 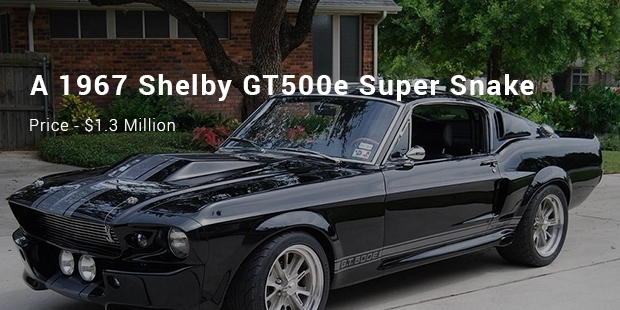 This kind of muscle car is a made-to-order type due to its cost, according to Carroll Shelby. 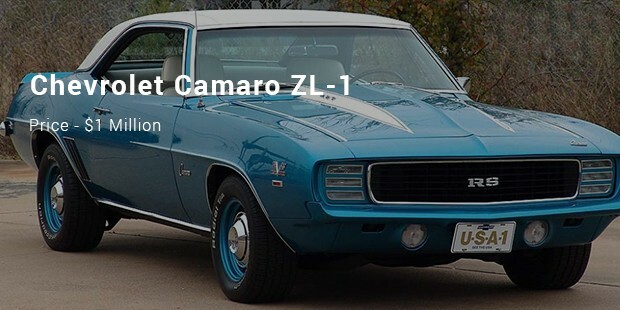 The 1969 Chevrolet Camaro ZL-1 has high performance and one of the world’s rarest muscle cars. The 4-speed manual transmission makes it ideal of any drag race.